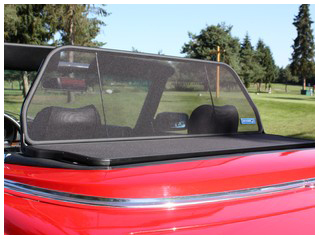 Convertible and Cabriolet owners we have solved the problem of wind blown hair, ear and neck discomfort when top is down by using our exclusive wind deflector. You can use our wind deflector on cold winter days and heat will retain in the cockpit. The wind deflector minimizes unpleasant air currents on the motorway. Wind deflector can be left in place when the roof is up. Different models for different cars. If your vehicle is not listed below please call for availability. Delivery up to two weeks depending on stock.